Insomnia? Busy mind? Can’t sleep? Us too. That’s why we created Shhh - the app that helps you get to sleep faster, when you need it most. Sometimes you wake up at 3AM because Jeff needs that quarterly report tomorrow. Maybe you have a newborn and your lunch break is your only chance for a power nap. You took the red-eye to Phoenix, but the kid in 3C is using your seat back as a punching bag. Life is full of challenges. Falling asleep shouldn’t be one of them. We could tell you we spent many years and hundreds of thousands of dollars researching audio frequencies, sound engineering, and healing (which is true). But who cares? 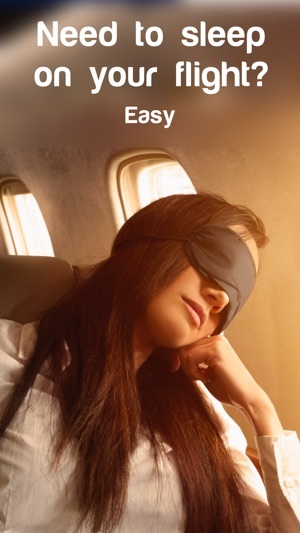 The important thing is we made an app that lets you fall asleep easier, faster, and better than any other method. Even alcohol (we tested this)! If you’re tired, we can help you fall asleep in seconds. Just download the free Shhh app, plug in your headphones, and tell the world to Shhh. So far, it doesn't seem to have made any difference for me. I'm glad I got it while it was free, otherwise I would have hated the waste of money. The other reviews (all five star) were another reason I tried it, but on closer inspection, it seems a lot of the reviewers haven't reviewed other apps, so their reliability is suspect. Whether or not it works, what's undeniable is that this is a really basic app. You start it up and pick one of the three options. When you wake, close the window. That's all you can do. What it needs is to become an all-in-one sleep app. Specifically, if it can help you fall asleep, it should be able to help you wake up. It needs an alarm function to turn it off 20 or 30 minutes before your wake time, then wake you with a beeping alarm or a selection from your music library. I shouldn't have to run two separate apps to sleep and wake. 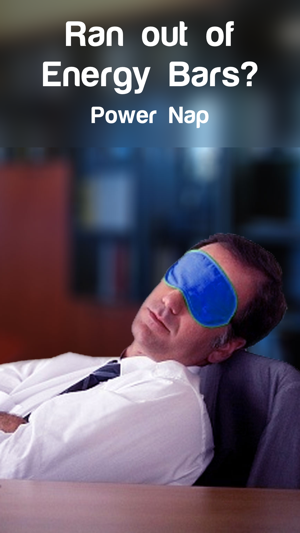 Especially for the "power nap" mode, where it should automatically set an alarm for 20 minutes (the recommended maximum for daytime naps) so you don't have to remember to do it. So I saw this in a Buzzfeed article and let’s just say I was pretty skeptical. I’ve tried everything for my anxiety-induced insomnia: breathing techniques, meditation, “cool-down” activities, melatonin, nothing worked! Headphones in and BAM out like a light within 15 minutes. It used to take me 3 hours to fall asleep. My only disclaimer is 1) this may be a placebo effect and 2) I do use this app in combination with other sleep hygiene routines as well as a sedating medication. I still swear by it, I recommend this and talk about it to all my therapists as a tool to help insomnia. I love it and I can’t thank the developers enough! 10 stars. 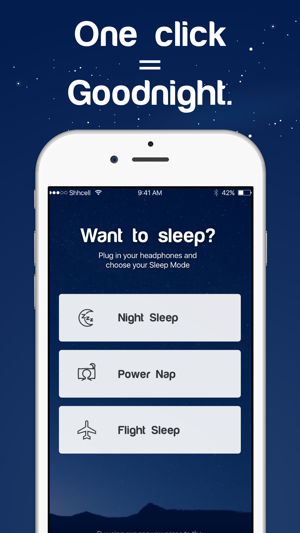 I have to admit, when I downloaded this app I wasn't really expecting much more than any other "sleep app". I frequently have difficultly sleeping and I've used other sleep apps that haven't really had any effect on my sleep. I have to tell you though, this app actually works. It is very relaxing and pulls your mind away from whatever it may be that's keeping you from sleeping. Once asleep, I sleep throughout the night and wake up rested. 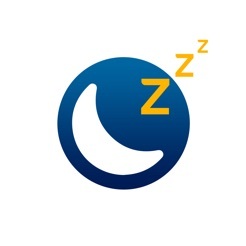 I truly feel this is the best sleep app that I have ever used or tried.